We Will Be Holding This 10 Hours Course On February 23, @ 8:00am - 6:00pm. Class is lively, hands-on, and fun. We keep the day moving with a combination of presentations, games, and hands-on practice using both life-like mannequin animals and live dogs. (You may bring your own dog to class, provided he/she is fully friendly and comfortable around new people and dogs.) You’ll love the practice time and individual guidance our small class size allows. Upon completion of the course, you will have earned a certification which is valid for three years. 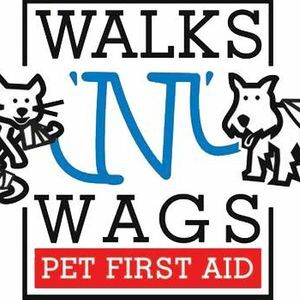 The Walks N Wags Pet First Aid course has been approved for CEU's for CCPDT, IAABC and PSI. 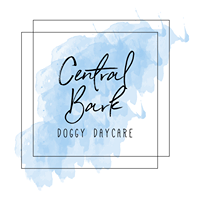 We teach the veterinarian-endorsed Walks ‘N’ Wags curriculum, the longest standing pet first aid program across Canada and the US. This widely respected curriculum will give you the skills and confidence you need to fly into action should an emergency arise. Session Cost: $150 + Tax For 10 Hours Of Instruction. Cancellation Policy: A refund in full, less a 20% administration fee, will be made up to 7 days in advance of the start of class. Within 7 days, no refund will be made. If you would like to bring your dog, they must be pre-approved by the instructor. There is a maximum of five dogs allowed. Dogs must be comfortable with other dogs and people including being handled by others. I will advise if your dog can attend when confirming your spot in the class. Please note: Due to dogs being present, cats are not permitted to attend the class.